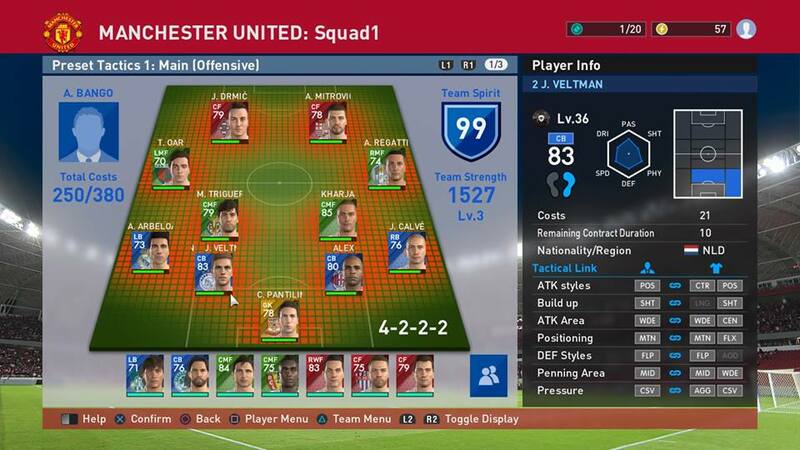 Here’s how you can build up a decent PES 2016 myClub team, and get used to winning at the Top Player mode. It’s easy to write up a guide on a Third Person Action or RPG, because the game points towards a single direction, or probably multiple. But what happens when a game is massively dynamic and the possibilities of playing it are endless? Image the real life football matches, where hundreds of managers employ thousands of techniques to win matches based on the opposing players and their strategies. Generally, a manager sticks to one major formation and employs different strategies during each game. But unlike the real life scenarios, when it comes to PES2016 myClub, gamers deal with random players and AI, knowing barely anything about the opposition. It’s, thus, a massive challenge to come up as a winner. 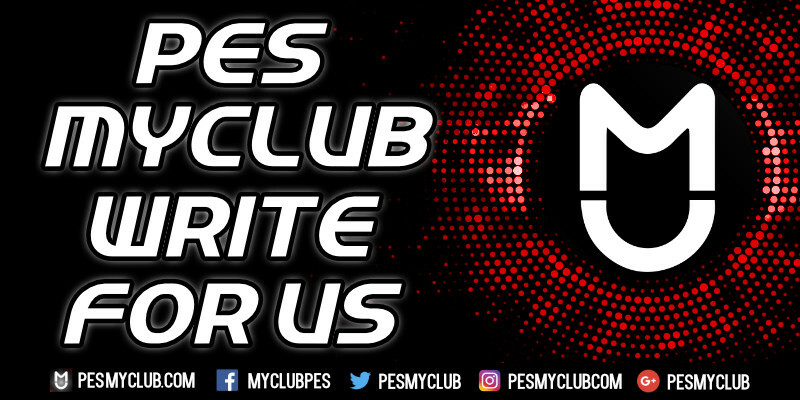 In my previous article I’ve described how massively dynamic PES2016 myClub is, and why it’s the perfect game for football lovers. 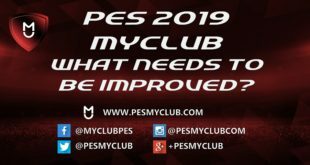 Being such a superior football simulation, PES2016 myClub demands skills from its players and improvisation in each match. So head straight towards how you can capitalize your team, implement tactics, and win matches. It’s said that football is a game of uncertainty. Anything can happen within the ninety minutes of theater. 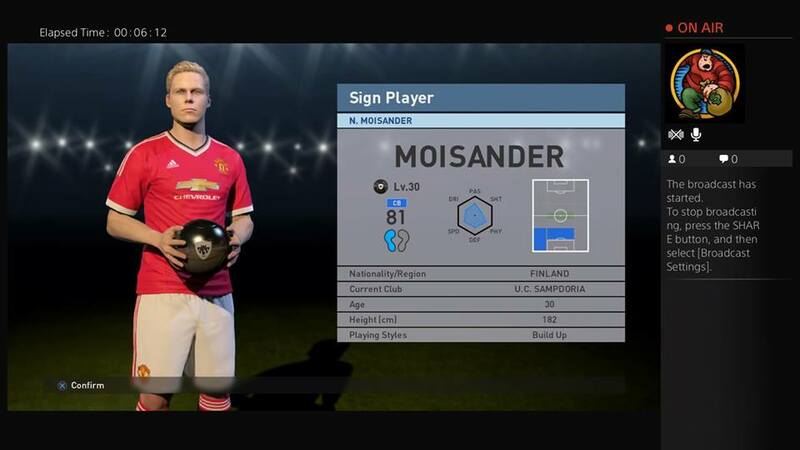 The first thing a PES2016 myClub gamer must learn is to be patient with his plays. Stick to the formation you’ve picked and keep trying to implement the strategies you’re skilled with. Every team has its strengths and weaknesses. Keep trying different strategies, and, in time, you’ll figure out the opposition’s weakness. We will be talking more on finding weaknesses later. Say you’ve picked the 4-2-2-2 formation. Now make sure that you have a set of solid midfield players as they are going to be the key part of your buildup. When selecting the CM it’s important to have players with both passing and dribbling skills over 80, and speed of at least 75. When your defender passes the ball towards these center midfield players, and after they get past the opposition’s midfield area, your LMF and RMF will make forward runs. In this case, your CM can either make a long through pass towards the LMF/RMF or advance a little further to make through passes towards your CF. What you can try to do is dribble further towards the opposition defense area with your CM until the opposition CM/DMF players get involved to track the ball. Now if you take a sudden U-turn towards your half of the field and dribble back with the ball, it’ll make the opposition CM/DMF players also track the ball and leave their defensive positions. In such situations you have your LMF/RMF and both your CF players in a 4 on 4 situation with the opposing defenders. A simple through pass towards any of your advanced four players will allow you to make an opening. 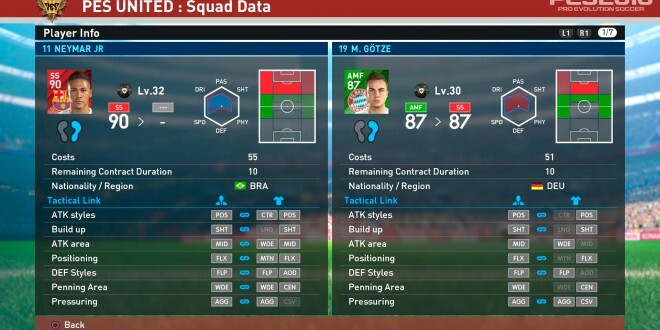 It’s great if your LMF/RMF have a speed rating of over 80 and the CF has an attacking power of over 80. If you pass towards the LMF/RMF opposition, the RB/LB will get involved to track the ball, leaving only the two CB to guard your two CF players. Your LMF/RMF can either play a long through ball towards your CF or back to back pass towards your CM players who have already gotten past the opposition’s CM area. The opponents’ players will try to set an Off-side trap to get the ball back and that why it’s always best to wait until the opposition CB comes forward to challenge the ball. This is when you should always try to make a long diagonal pass towards your CF. For instance, if you RCM has the ball 10-20 yards outside the opposition D-box, make a diagonal through pass towards your LCF. This way you’ll never fall into the Off-side trap. The moment you pass the ball towards LCF, your RCF will immediately make a forward run leaving behind the CB who was tracking him. In a worst case scenario, the CB who was tracking your LCF will run towards your RCF to stop his run leaving his keeper open for the LCF. Now take a diagonal long shot on goal forcing the keeper to make a save. You’ll either end up scoring, or the keeper will push the ball away for a corner or (if you’re lucky) the ball will come to your RCF. And the keeper will not be in a position to save his close range shot on goal. And you’ve scored! 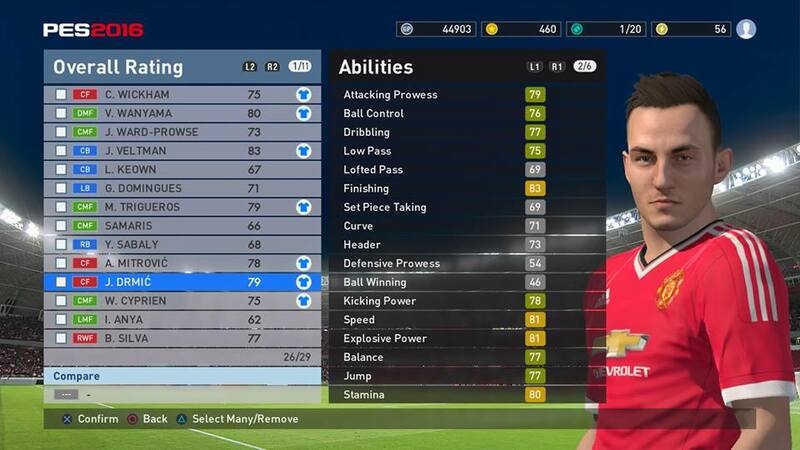 In PES2016, not every player has the same set of skills and abilities. 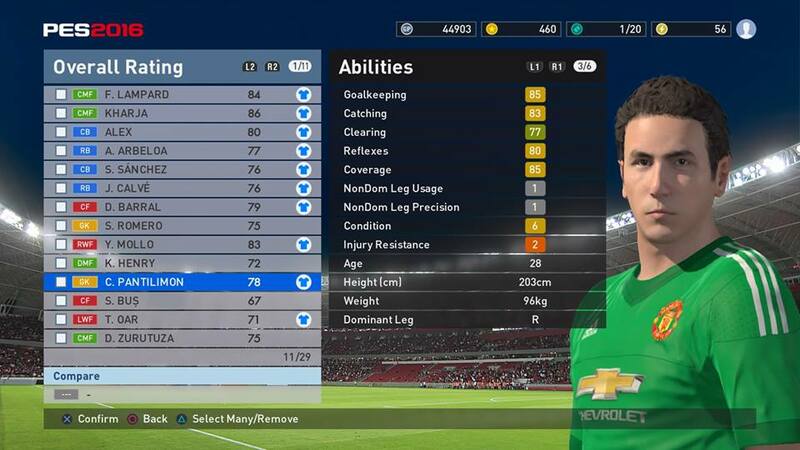 Konami has emphasized so much on real life players and their in-game versions are faithful to their real life counterparts. To do well, you must know all the players, from your keeper to forwards, and, especially what they’re capable of. Your taller CB is obviously going to perform better in set piece situations but less so in tracking the opponent’s forward runs, while a CB with speed will do just opposite. To get the best out of your CB, always pick players who are physically stronger. They don’t necessarily have to be taller, but decent speeds of around 70 with defensive abilities of over 80 are most ideal. CM/MF/AMF players should have dribbling and passing skills of over 80. If you’re following the above strategy, then a decent speed of over 70 is required. The LMF/RMF/LWF/RWF should have a speed of over 80, and attacking power of over 75. 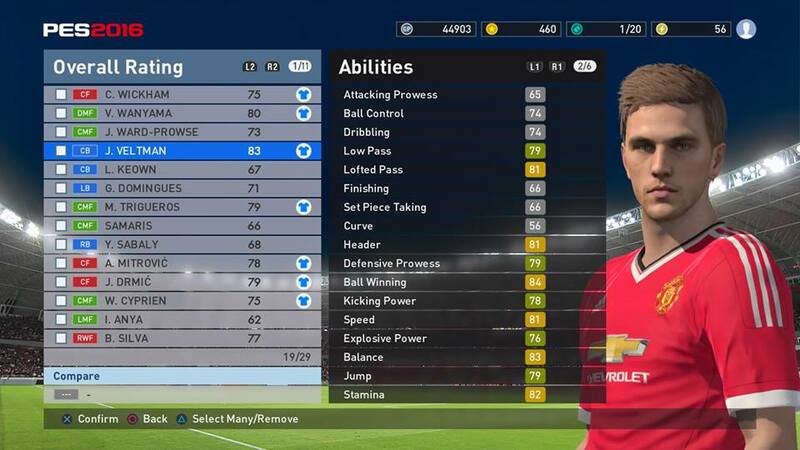 Finally, the CF/SS should have an attacking power and kicking abilities that go over 80. If you play with a holding CF player, it’s important that his strength is over 75, preferably 80. In such cases the SS or the AMF’s speed should be over 85 to make forwards runs and get past the defenders so that the hold CF can make through passes towards them. Having a decent keeper whose reaction rating is over 75 is very important too. If you have a slow keeper, then defenders with more speed come in handy. If you keeper is tall and his speed reaches over 70, prioritize engaging him in 1 on 1 situations. Opposing strikers tends to clip the ball over the keeper when he comes out of his posts and a taller keeper will make successful saves 9 out of 10 times. This takes us back to the first point. 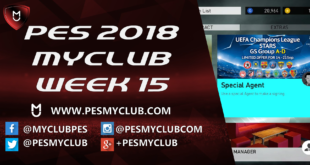 Having the patience to build up the play based on your strategies is another vital part of PES2016 myClub. When you know the style of play you’re going to follow, you know exactly who should pass the ball in which areas. No opposition can defend against your tactics over and over again. So you must try to make opening for making forward passes. Let’s break down in detail. Say you have two CM players and one of them will make a forward through pass. But both the opposition forward and attacking midfield players will be the hurdles. To make an opening, get closer to the opposition player who’s trying to block your pass. When he gets close enough, don’t pass the ball backwards to your defenders, instead pass it to the other CM or the RB/LB supporting you from the sidelines. The opposition player who was trying to block your pass will surely follow the ball and your CM will be free to make a short run forwards. During the time the opposition player reaches your other CM or the RB/LB, you’ll have enough time to make a short pass to the CM who has made the forward run. Rest assured, the opposition player who was trying to block your pass will give up running and let you go forward. Keep implementing these tactics again and again to make opening until you reach the opposition’s D-box. During an 8 mins match, you should be able to make such openings at least 12-15 times if you’re playing the possession game. and with decent strikers in your team, you should score at least 2-3 goals. If you’re more into attacking, make long forward overhead passes to your LMF/RMF or LWF or RWF. This is effective when the opposing team is playing with 3 CB and 2 DMF players. Sometimes when their CM players are too fast and pressing too much, such passes are the only option. My suggestion will be to make these players tired by forcing them to chase the ball during the first half. Keep playing the ball around the field and make them lose energy. Then within 10-15 mins during the second half they’ll be tired enough to chase your LMF/RMF/LWF/RWF players. Make sure that you have substitutes who can replace these players in the second half if they too are low on energy. Else, this tiring strategy will never be effective. Speaking of substitutions, since you can only replace three players, don’t always replace who is tired. There will be players who are not performing well in the match and having their performance arrow downwards. These players usually lose possession easily and don’t contribute much. Replacing them will lift up the team spirit. No, I’m not asking you to keep your star players out of the starting 11, but if you have several star players, keep one or two in the bench to bring in during the second half. Like I’ve mentioned above, during the second half most players get tired. If you bring in your star players after 60 minutes, they give a huge advantage for at least 15-20 mins of play. If the opposition is winning more balls in the mid field areas, it means you need to tire the opposition AMF and LMF/RMF/LWF/RWF players and bring out star players to gain advantage over them. For example, I have Lampard in my team whom I always bring out after 70 mins have passed. He’s an old player but his passing skills are very good. When the opponent’s midfield players are tired, it’s easy for him to get past them and make forward passes. But when I play him from the beginning of the match, he gets tired after 25 mins and doesn’t play as well. When the match begins, I start with combatively young and energetic midfield players and have them running all over the field. The more you run with the ball, the more the opposition’s players run behind you and get tired chasing. The best part is that your opponent will always substitute players if they are not breaking through too well. This happens especially when their striker runs behind the ball for 60 mins and can’t make an opening. Even the star players will get substituted. So, target the players who you want to get rid of from the beginning of the match. Another great thing is that the opposition will show bad form if not having the ball for long enough or if their passes are blocked too often. They will try long distance shots, and their CF players will be too tired to get past your CB. Short video of black ball winning, and streaming of couple of matches. Well, that’s all for this article. In the next one, I’ll be talking more on specific tactics on how you can improve your specific skills, win more black balls, and progress in the Divisions.